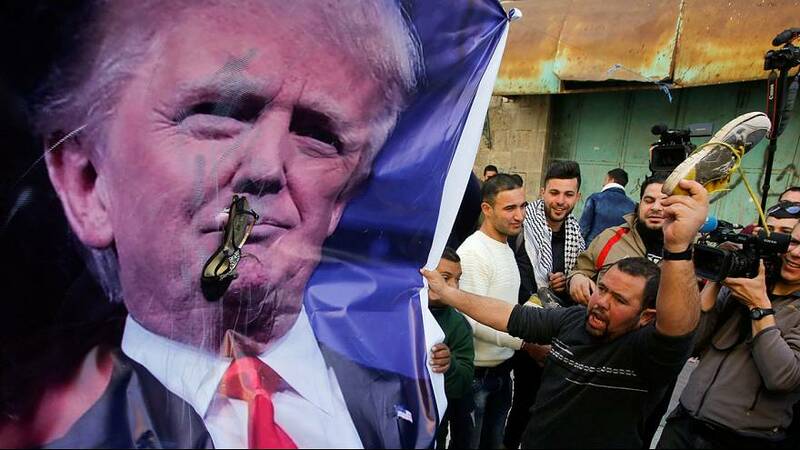 Palestinian protesters throw shoes "at Trump's face"
Protesters unfurled a banner with the image of US President Donald Trump and threw shoes at it, condemning his perceived closeness with Israel. Later, Israeli security forces fired teargas and stun grenades to disperse dozens of Palestinian protesters, who threw rocks at them. Hebron is the largest Palestinian city in the West Bank and a frequent flashpoint for violence.